TWO AMERICAS PART 1 He has been his mentor, his leader and his friend. 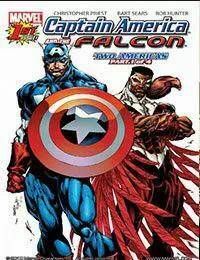 Now, Captain America takes on a new role in the Falcons life: pursuer! Sam Wilson has gone rogue and S.H.I.E.L.D. has given Cap just 24 hours to bring him in!